Hello! My name is Brad Stoufflet. I am passionate about my clients reaching there triathlon/endurance goals. Through 6 years of an endurance career (4 years college and 4 years of Long Triathlon) I have learned a lot about the art of training physically and mentally. I have also learned the importance of communication between athlete and coach. My areas of focus are triathlons (sprints to ultras), running (5ks to Ultras), and nutrition. The service I provide are 1 on 1 coaching and nutrition. 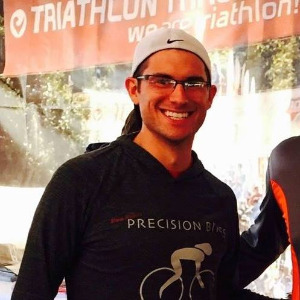 Brad Stoufflet is the founder of B.A.S.E Preform and has been coaching triathletes and runners for 6 years. Well accomplished athlete with 2 140.6's, 6 70.3's, 2 marathons, countless sprint triathlons and 4 years of college track and field. He has place in the 6 in his age group in all 6 70.3's. Brad has competed in Hyvee Olympic Nation Championship and qualified for 70.3 worlds at Galveston 70.3. Success. Coach Brad Stoufflet has been notified of your message.